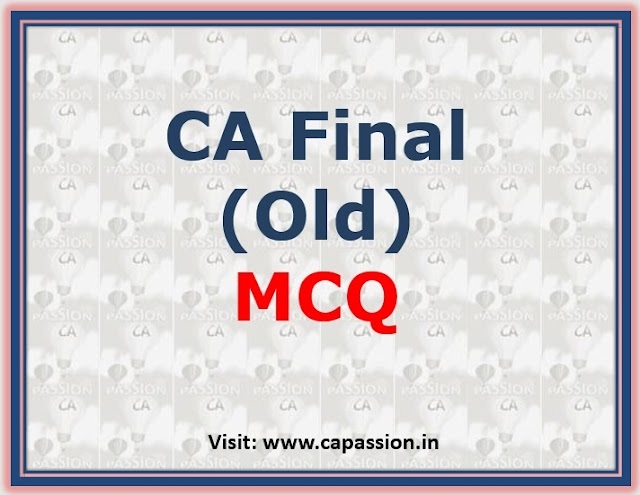 As you know, ICAI has changed exam pattern of assessment from May 2019 exams onwards, there will be now 30% objective type compulsory questions with no negative markings for Paper 3,4,6,7 & 8 repectively. Hence, we are here providing you all a platform to have an idea on what kind of questions ICAI may ask. We will also provide the same pattern for other subjects also, as this is a good way to revise yourself and you can test your knowledge and preparations status by solving these MCQs.